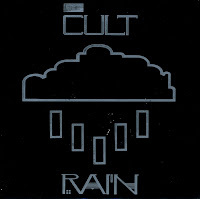 The Cult achieved mainstream success pretty early on in their career when they released their fourth single 'She sells sanctuary'. It reached number 15 in the UK singles chart. The next single was 'Rain'. It did almost as well: reaching number 17. It has always been a live favourite, being performed at almost every gig since its release. Despite the songs popularity, after performing it live in November 1989 at Wembley, singer Ian Astbury said 'So you like that one?'. After the audience cheered, Astbury responded by saying 'Personally I don't'.